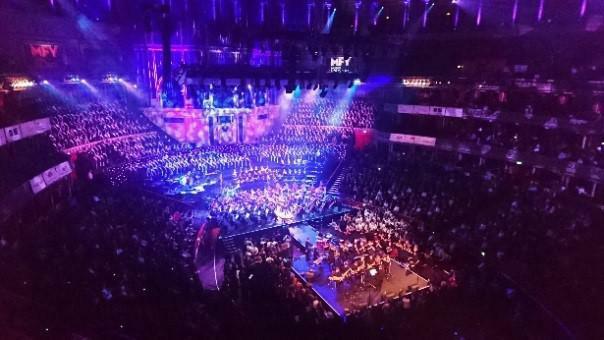 On Tuesday 15th November, a group of 71 children and staff travelled to London to the Royal Albert Hall to watch the annual Youth Proms. It was a fantastic occasion for Year 5 and Year 6 children with an impressive line-up of inspiring young musicians from across the UK. We were entertained by a variety of performances including drumming, dancing, choir ensemble, rock bands and mass orchestra. The evening finished with a rousing rendition of a new piece called “Hope and Glory” which is a modernised version of the original 'Land of Hope and Glory' and with balloons descending from the ceiling and fireworks from the galleries! It was a thoroughly enjoyable evening. Occasions like this are always so enjoyable and provide rich experiences for the children – a big thank you to the staff who accompanied the children for this trip and an even bigger thank you to all of our pupils because their behaviour was impeccable throughout the evening!